I absolutely love white chocolate. I got hooked when I was young, I fell in love with Hershey's Cookies n' Cream chocolate bars... you know, the sugary white stuff with trans fats? I hate knowing that I used to eat the king-sized versions, but I love that I eventually did stop eating them. Every time I am standing in line at the grocery store, I always see those Hershey's chocolate bars. As much as I'd love to rip one open and chow it down like a maniac taste one again, I know they aren't beneficial to me or my body in any way, shape or form. So I finally decided to make my own white chocolate at home. As for these homemade chocolate bars? Spot. On. Flavor. They are absolutely delicious. Creamy, silky, sweet and addicting. Everything a Hershey's bar has, except this time, with health benefits. 1. Put your chocolate mold on a large plate or cookie sheet so that it is level and easy to transport without bending. Reserve space in the fridge for the plate. 2. In a nonstick saucepan, melt the cacao butter over medium-low/low heat. 3. Scrape the vanilla bean seeds out of the vanilla pod and put into a small bowl. Add the salt, erythritol and protein powder and whisk together. 4. When cacao butter is completely melted, turn the heat off and whisk in the dry ingredients, one spoonful at a time. When mixture is smooth, pour into the chocolate molds and refrigerate for 3 hours, or until firm. I saw this and I was literally like WTFWTFWTF! Yay, vegan white chocolate for meeeee! Thankyou! These look so yummy. 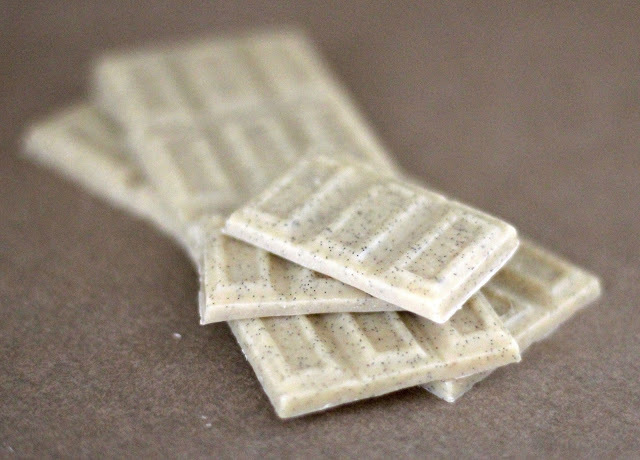 Trying to make white chocolate a little healthy was a great trick. Thanks so much Jessica. 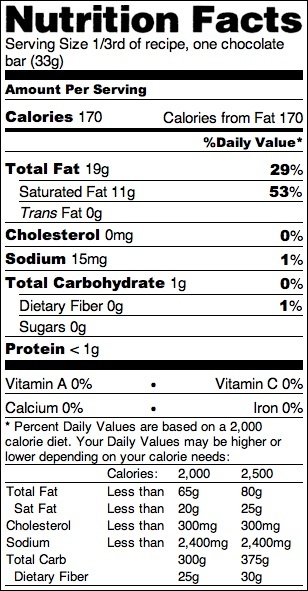 Nutritional label, please? :) Thanks. I've been meaning to make homemade white chocolate! It's too bad they don't sell sugar free white chocolate, but I bet the homemade version is amazing! It looks incredible and just like the candy bars! Gotta make this asap! Oh, I can't wait to try this and I have almost all the ingredients in my pantry. I hope Swerve can sub for the powdered E+ in the recipe. 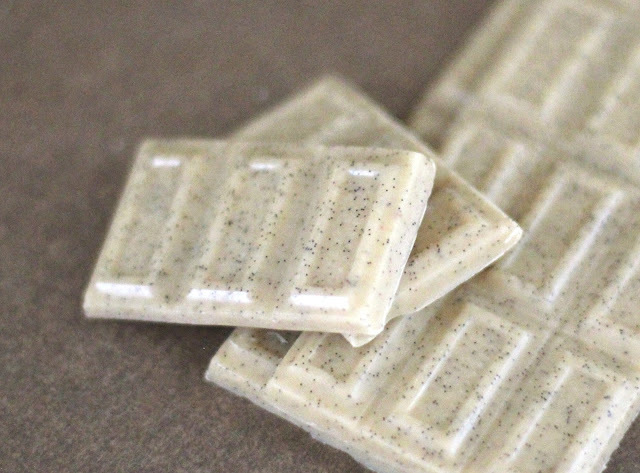 So Hannah Kaminsky's recipe for white chocolate inspired you! I have her book My Sweet Vegan. One of my favorite recipes in the book, is the Root Beer Float cupcakes. How I would love to see that converted to a gluten free, and sugar substitute recipe. Have you been inspired to convert anything else of hers? How about the Green Tea Tiramisu? I never made that but it sure looks interesting! Thanks for all the cool ideas Jessica. Your recipes are fun to look at and try! I haven't made any of Hannah's recipes, but I pinned this recipe a while back (http://bittersweetblog.wordpress.com/2011/08/19/to-post-or-not-to-post/), it looks delicious! It's amazing how easy it is to make white chocolate, isn't it? I love the look of yours with the vanilla beans. I had some trouble with this recipe. I could not get the powdered erythritol to dissolve in the melted cacao butter! I got it mixed up but it definitely wasn't dissolved. Any tips? Was the stove hot enough? And was the cacao butter melted completely? 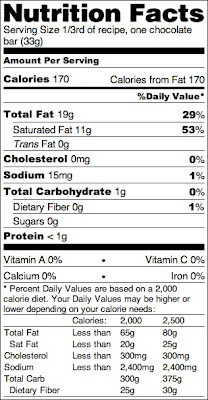 The erythritol should dissolve right in, just like powdered sugar would. Maybe try whisking the mixture on the stove for a longer period of time. I hope this works! Thanks for your response! 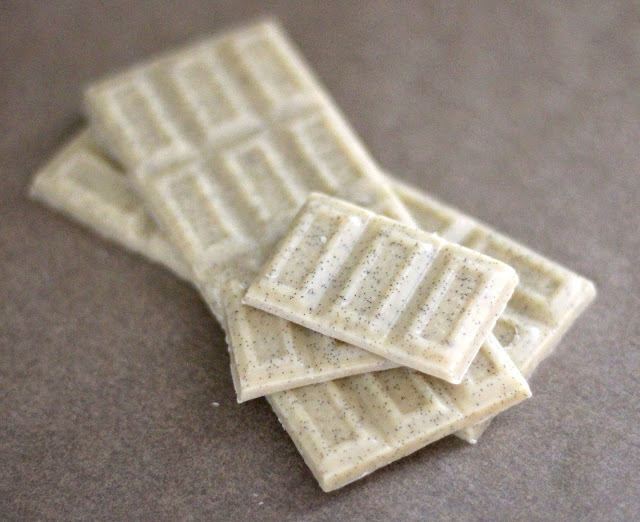 I have so been craving white chocolate, so I am determined to make this recipe work! Yes the stove was hot and the butter was completely melted, but it wouldn't dissolve and the way and I got this horrible grainy texture. I also got really bad separation where I had basically a layer of erythritol and a layer of cacao butter. Very unappetixing. I made a third batch where I sifted the erythritol into my blender, added the vanilla beans and milk powder, then poured in the fully melted hot cacao butter. I blended this for a minute, then while still blending I added about 1/2 teaspoon of xanthan gum to emulsify it. The resulting texture was sooooo much better! The chocolate isn't grainy, and it didn't separate. I think the lack of milk fat and sodium makes the chocolate a little less "rich." My chocolate was pretty sweet and rich, just without that milky flavor of course. Heavy cream will definitely provide a milky flavor, just not any health benefits. If you add the heavy cream, make sure to add a tiny bit more cocoa butter and erythritol so it doesn't affect the liquid:solid ratio.